Most organisations hold more than one investment engagement and invest in multiple organisations. Portfolio management entails developing a diversified investment strategy with various investment vehicles that achieve the overall social and/or financial mission of the social investor. Some considerations for funders would be about what kind of organisations are added to the portfolio (pre-engagement), how to evaluate each organisations’ contribution (impact assessment), how can social and potentially business outcomes of the supported organisations be maximised (capacity building), and finally how they can exit organisational engagement at the end of the engagement period. Through these practices, this area is linked to pre-engagement processes, informed by impact assessment and plays into multi-sector collaborations. In this practice area, we aim to understand the context and the way decisions are made. Green Monday is a social movement and start-up group that aims to tackle climate change and global food insecurity by making low-carbon and sustainable living simple, viral and actionable. Its case exemplifies how a social mission can be structured movement into many different ventures and then spread. In particular, this case outlines the venture side of the mission. When Green Monday was launched, vegetarian restaurants and food options were few according to Mr. Yeung. In the four years since Green Monday was launched, it has established a range of enterprises working together towards this mission. It is with respect to these activities and efforts that Green Monday manages its portfolio. In more detail, ‘simple’ means to break down the intricate issue of climate change, to define ‘what’ to do, ‘when’ and ‘how’, namely – green eating on at least a Monday. To make the Green Monday movement go viral, the movement attempts to be inclusive and plant-based; something which everyone can connect with and get involved in: “Green is an attitude, not a dogma.” Finally, it is actionable in the sense that it empowers the supply side by building a green economy and the demand side by raising awareness. This is reflected in its structure of operation with Green Monday Solutions which provides consulting services to restaurants, caterers, food producers, supermarkets and corporates on marketing, in Green Monday Ventures for investment and incubation (including Green Common) and in the Foundation which focuses on public awareness. With this philosophy, GM has had a significant success to date, which is outlined below in Impact Assessment. In order to achieve its mission, Green Monday has developed a hybrid model, consisting of a social branch and a venture branch. The social branch comprises two projects: Green Monday Foundation, which “promotes the benefits of healthy living” through education and public advocacy, and Green Luck, “which addresses healthy and green banqueting with three simple elements – no waste, no shark fin, and one vegetarian dish. Green Luck has joined hands with food rescue organizations, caterers and shark protection organizations to provide support in redistributing excessive food items at banquets and promote a sustainable banqueting culture”. The venture branch comprises three entities: Green Common, Green Monday Ventures and Green Corp Solutions. 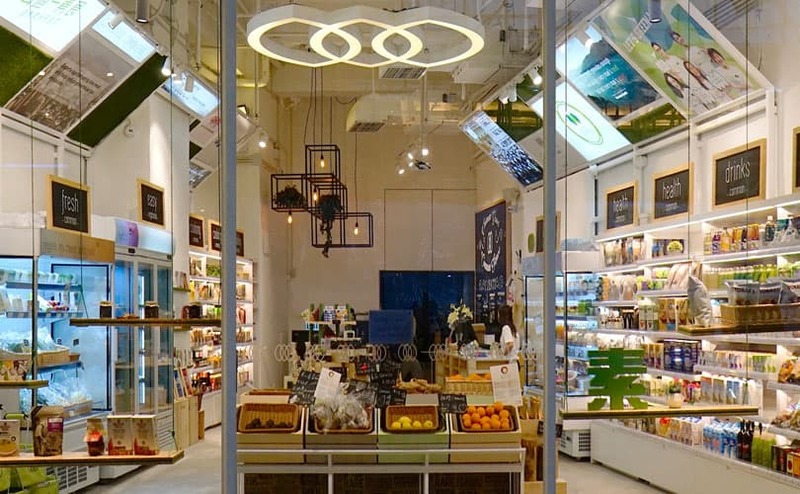 Green Common, “a plant-based concept store”, facilitates the adoption of healthy eating practices by selling “Food 2.0, superfoods, fresh produce, snacks, cooking ingredients, personal care and household items”. Alongside the supermarket, Green Common offers food education, cooking classes, grab’n go deli and dining. To compliment, Green Common’s focus on individuals, Green Corp Solutions and Green Monday Ventures focus on corporations. Green Monday Ventures “aims to invest in and incubate companies that deliver social and environmental good along with competitive market returns, and Green Corp Solutions provides consulting services and solutions to corporations on sustainability and CSR. Green Monday’s history since 2012 has seen the development of its various entities, thus building out an entire ‘green blue ocean’ from supply of products and restaurants to innovating products and services via its venture arm and assisting others through its consultancy. From Day 1, the vision was to create a Swiss army knife cutting across all sections of society and working synergistically towards the larger whole. Yet, there were some starting points and a progression. Green Monday Foundation is the main driver of the Green Monday Movement and the root of all entities in the Green Monday Group. Green Monday Foundation is a registered non-profit in Hong Kong and the US. There are 15 full-time staff in Hong Kong, a few staff members in the US and one in the UK. The movement is funded by its initial co-founders and also supported by Hong Kong Jockey Club, family offices such as The D. H. Chen Foundation in Hong Kong and blue-chip corporations. In the early days, Bank of China Hong Kong was also a supporter. Currently, the Environment and Conservation Fund of the Hong Kong Government also allocated funding to 2-3 year programmes. The movement is also expanding its international funding. In Hong Kong, Green Monday Foundation partners with multiple caterers to offer Green Monday menus in over 800 schools. Through its Restaurant Programme, 1,000 restaurant outlets in Hong Kong are offering Green Monday menus, making them vegetarian friendly. Internationally, the Movement has spread to over 10 countries and regions. 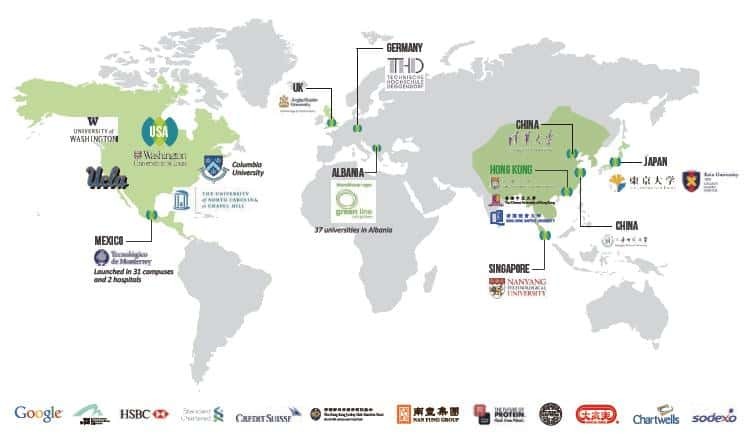 Over 250 schools and universities worldwide have launched Green Monday, directly influencing more than 1.3 million students outside of Hong Kong across the globe. The “Green Monday Jockey Club Green It Yourself Programme” is the Foundation’s community project started in 2016. It creates a platform for the exchange of green culinary knowledge both online and offline. It brings food bloggers and the community together to promote green home cooking through recipe databases, cook books, youtube tutorials, cooking competitions and blogger meet-ups. According to Hong Kong Environmental Protection Department, in 2012, putrescible wastes were produced at the rate of 3,600 tonnes per day in the city, one-third of which originated from commercial and industrial sources while the rest was domestic waste. Although putrescible are easily decomposed in landfills, they release toxic gases and pollute the environment. Moreover, a lot of food is still edible when disposed of. The idea behind Green Luck is to facilitate healthy banquets with three simple elements: No waste, no shark fin and at least one vegetarian course. Surplus food is being redistributed by food rescue organisations to promote a sustainable banqueting culture. Media – Green Monday’s extensive media coverage. Green Monday also had a permanent green corner at SOGO which also featured free recipes. Other events were the collaboration between The Link and Green Monday, which promoted green lifestyles at home through LINK’s wet market. In addition to reaching the public in super- and wet markets, Green Monday reaches the working population through Green Monday menus. For corporates, Green Monday gives regular talks and consulting on Global Warming and Sustainability to its numerous corporate partners such as Standard Chartered, Hang Lung, Bank of China and KPMG as well as promotes Greener Work Communities through a staff solution for employee engagement, which also promotes a healthy work-life balance through a year-round plan for corporate wellness and healthy living for staff. As of August 2016, Green Common has the biggest team of all the other entities in the Green Monday group: 15 full-time staff working the office and another 20 full-time staff in the shops. The headcount is expanding rapidly, with another 30-40 staff scheduled to join by end of 2016 to handle retail, distribution and supply chain. “Eco footprint reduction: Reimaging lifestyle through value enhancement while reducing our environmental footprint. Health and Wellness: Products and services that improve human health, wellness, and performance in the areas of nutrition, fitness, and lifestyle. One of their investments is Beyond Meat – a Food 2.0 company from the US that seeks to feed the planet with a new kind of plant-based protein using cutting-edge technology. Beyond Meat already received funding from Kleiner Perkins, Bill Gates and Twitter co-founders Biz Stone and Evan Williams. 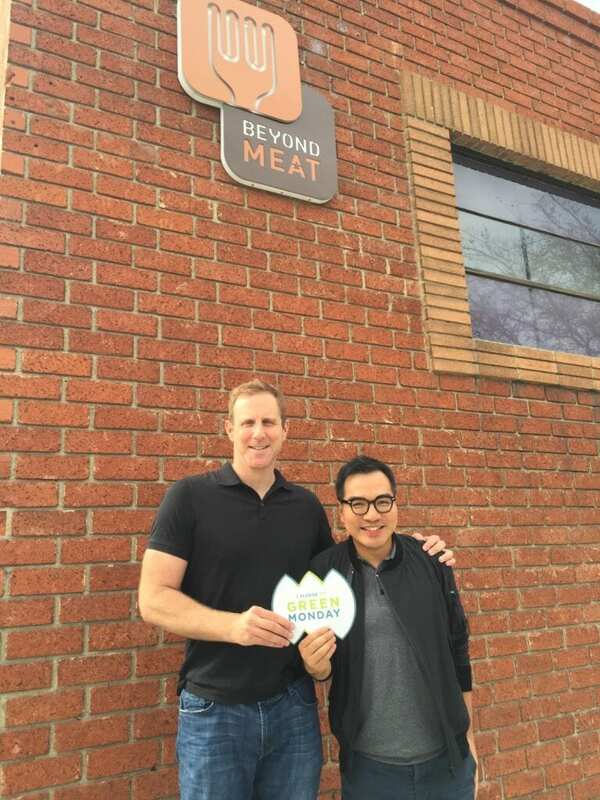 In talks with Beyond Meat’s founder Ethan Brown to find out synergies between the two companies, Mr. Yeung highlighted that “Green Monday sets the stage for Beyond Meat to shine.” On the one hand, Green Monday creates the distribution channel for Beyond Meat’s retail and foodservice products in Asia. Beyond Meat is now sold at supermarkets such as SOGO, City Super, Yata and can be found in the menus of restaurants such as Pizza Express. On the other hand, the Green Monday Movement is a powerful endorser. “We never endorse for financial reasons, we endorse because it is the right thing,” says Mr. Yeung. In contrast to PE and VC that may focus on minimising risk and maximizing returns, Green Monday Ventures ask how it can help the investee’s company grow. Green Monday’s aim is to reduce meat consumption in order to affect climate change. It aims to do this in a simple, viral and actionable way. While not being a classic theory of change, this philosophy has yielded a number of results and has had an impact on climate change. In terms of public reputation and awareness, Green Monday has received multiple awards and recognition at home and abroad. In China, Green Monday was named by Fast Company as China’s 50 Most Innovative Companies in 2014; its co-founder Mr. David Yeung was also named as China’s 100 Most Creative People in Business in 2015. This has helped significantly in raising public awareness and building the brand. In addition to public branding, out of the 1.6 million flexitarians in Hong Kong, 3% practice plant-based diet full time, 8% practice it part-time, and 12% once a week. Based on their reduction in meat consumption, it is calculated that 300 million animal lives have been spared. According to the journal “Buddhist Compassion” that keeps track of vegetarian restaurants in Hong Kong, over the years, the number of vegetarian restaurants in the city has increased from 148 in 2013 to 229 in 2016. In addition, currently over 800 schools and over 1,000 restaurants in Hong Kong are offering Green Monday menus. Internationally, Green Monday movement has expanded to over 10 countries and regions. Over 250 schools and universities worldwide have launched Green Monday, directly influencing more than 1.3 million students (excluding Hong Kong) across the globe. Green Monday uses formulas developed by environmental scientists to calculate society’s collective environmental impact by consuming less meat. For example, a market survey by research company Ipsos found that the number of Hong Kong’s flexitarians (defined as people who eat vegetarian at least one day a week) rose from 5% of the population in 2008 before Green Monday’s establishment to 23% in 2014 (two years after Green Monday’s establishment), i.e. from 0.35 million to 1.6 million. Using the carbon formula by United Nations, it is calculated that this shift meant a reduction of 900,000 tons of annual carbon emissions and water saving of 375 billion litres. The entire group of Green Monday engages in different kinds of capacity building across the group and with different stakeholders. Through Green Corp Solutions, Green Monday builds the capacity of the public and corporates through increasing public awareness. Through Green Monday Ventures, brands are also built through additional marketing assistance and practical market entry strategies. In that sense the capacity-building assistance provided by Green Monday is very similar to that of many venture philanthropic/venture capital/private equity investors. In Green Common, Green Monday builds brands as well as employees. Brands are placed strategically and cooking classes as well as product display helps them gain visibility. For employees, Green Monday provides the learnings of a start-up in the sense that it is always changing and enables employees to be nimble. Employees also benefit from Green Monday’s philosophy of mindful eating. Having an awareness of how consumer choices affect the environment and others is central to Green Monday’s foundation. This is shared in staff seminars and trainings and is evolving with the staff’s input. Green Corp Solutions usually engages with corporate stakeholders on different levels. 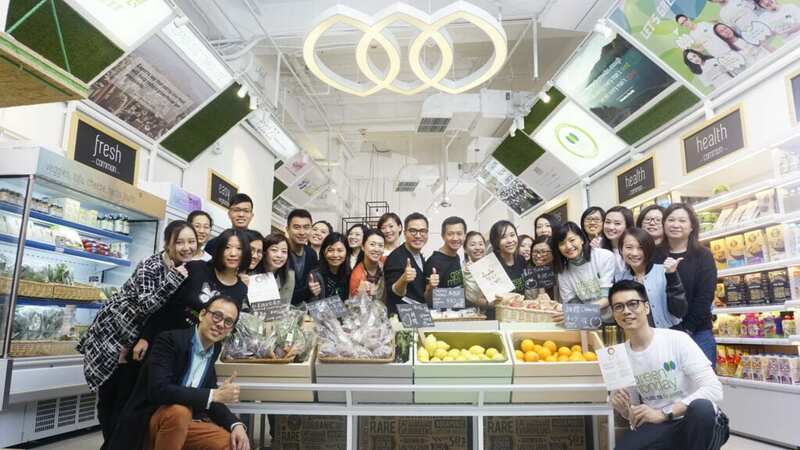 For instance, with the supermarket chain SOGO, the interaction included a number of events and now includes a permanent green corner with free recipes and lifestyle suggestions for green living. Similarly, with the LINK wet markets, Green Monday offered free recipes as well as suggestions on shopping for green produce for a green lifestyle. Green Monday’s DNA is bringing together stakeholders from the entire eco-system and supply chain of greening food. For instance, in Green Corp Solution, the staff works with corporates, the public, super- and wet markets as well as suppliers and producers to create win-win situations for each of the stakeholders. Green Monday is a multi-faceted venture based on a strong mission to reduce carbon emissions as well as slow down climate change through greening food and food consumption. The underlying mechanisms to this are simple, viral and actionable. Green Monday therefore, has various prongs of activity such as the Green Monday Foundation for building public awareness, Green Common to provide a platform for brands to reach customers and for customers to have more green options, Green Corp Solutions for B2B solutions, Green Monday Ventures to incubate and invest in new products and services and bring them to Hong Kong and other markets. Through these different aspects, Green Monday addresses different facets of supply and demand in green food options effectively and has made an impact in the protection of animals, the environment and consumers, built the capacity of various stakeholders such as employees and new brands as well as collaborated across sectors to make green food possible and enjoyable. //For decades, the United Nations, scientists and environmentalists have done an invaluable and profound work to educate the public about global warming. Unfortunately, when it comes to reducing meat consumption, all the efforts that went into educating the public may still end up with little or no behavioral change.. The glaring reality is: knowledge does not necessarily change behavior, and without a change in behavior, going green remains an empty slogan. As an impact investor, I gave Green Monday a very clear goal to “make change happen, make green happen”, and defined our strategy with three words: simple, viral, actionable. Simple: Climate change is an extremely intricate science. Yet while problems can be complicated, solutions cannot. If we want people to change, we have to give them crystal clear direction and keep them focused on what is critical. Since the livestock industry is the biggest producer of greenhouse gases, Green Monday’s message to the public is consistently this: eating less meat is the simplest and most impactful thing everyone can do to stop global warming. Simplicity also runs in our name: Green Monday: with just two simple English words, we are able to convey the ‘what’ (green), ‘when’ (Monday or one day a week), and ‘how’ (eat). It is precisely because of this simplicity that Green Monday has gone viral – which leads us to No. 2: Viral. Viral: Knowing something isn’t enough to cause change. We have to reach the emotional side of people by creating a viral trend. Branding, marketing, PR and market penetration is Green Monday’s core DNA. When we founded Green Monday, we decided to give our movement a positive spin by telling people to go “green” instead of “meatless”. We also designed Green Monday to be a movement by and for all the people in the world. So we break down the challenge of changing to a 100% plant-based diet into baby steps. Everyone can start by going green once a week and identify themselves with our movement. “Green is an attitude, not a dogma”. With this strategy, virtually every stakeholder in the food system has no reason to say no….